Cypress (Cupressus sempervirens) also known as Mediterranean Cypress is a tall, thin, evergreen, coniferous tree that grows up to 35 metres in height. The tree belongs to the Cupressaceae family and is native to the eastern Mediterranean region, but now grown as an ornamental tree across the world. The Cypress tree is often found in cemeteries, which may derive from the fact that the ancient Egyptians and Romans dedicated this tree to their gods of death and the underworld. The latin word ‘sempervirens’ means ‘ever-living’ and is thought to relate to the ever-green nature of the leaves and how they symbolise life after death. Cypress essential oil is steam distilled from the needle-like leaves and twigs, with the majority of supply coming from either France or Spain. It is a beautiful middle note oil with a fresh, woody, herbaceous, spicy aroma that goes well with many woody, citrus or mint blends. Traditionally used as a purifying incense it is a great oil for purification and protection during times of emotional upheaval, instilling strength and helping energy flow in times of pain, grief or loss. It can also help with concentration, respiration, removal of toxins and excess fluid from the body and balancing oily, acne-prone or over-hydrated skin. It also has a toning action on the veins that is beneficial for treating broken capillaries, hemorrhoids and varicose veins. One of the main benefits of Cypress is its ability to restore peace and calm in times of pain, grief or loss. It is said to help balance stagnant energy, creating movement which can help free up negative or difficult emotions. It is also great for ridding nervous anxiety. I remember once I had ordered a whole load of Cypress to be delivered and when it arrived, I accidentally dropped and smashed the whole order on the floor. I instantly wanted to cry as I’d wasted my entire order, but instead, there was a great feeling of peace – along with a beautiful Cypress scent in my kitchen for days! If you’re struggling with emotions, why not relax with a calming aromatherapy bath? Try a beautiful blend of 3 drops Cypress essential oil, 3 drops Bergamot and 2 drops Rosewood mixed in half a cup of full fat milk or 15ml of our fragrance-free bath oil. Close all doors and windows and pour this mixture into your bath water and allow yourself to be cocooned in the warmth and delicious aroma. Lie back, close your eyes and take some nice deep breaths in and out – it is all going to be ok.
Add 2 drops Cypress, 3 drops Lemon and 2 drops Rosemary to a diffuser or candle burner and diffuse into the room for up to half an hour at a time throughout the day. 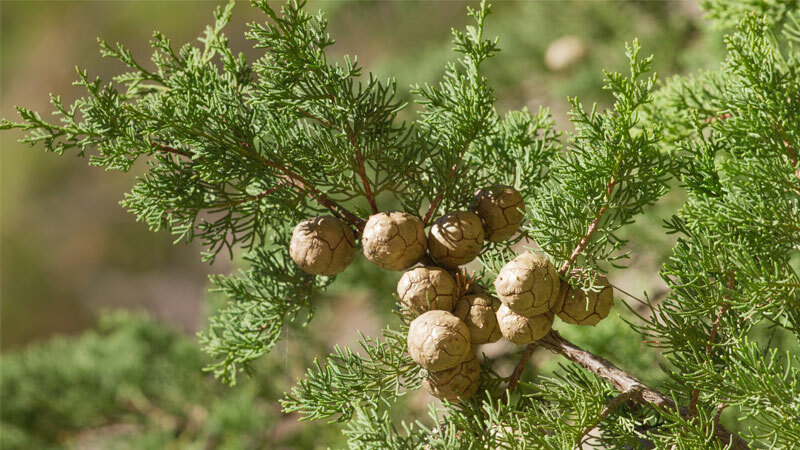 Having an affinity with the liver, Cypress’s cleansing properties are also good for helping flush out toxins, Try it in a lovely detoxing massage blend. Add 2 drops Cypress, 3 drops Lemon and 1 drop Juniperberry to 15ml Grapeseed oil and massage all over your body in a direction towards the heart. Apply this daily for one week, ideally after body brushing, for a toxin-busting boost! The purifying, astringent properties of Cypress make it great for skincare – especially for oily and acne-prone skin! Try adding this oil into your usual cleansing, toning and moisturising products (1 drop of oil per 5ml of product) and see how it helps! Don't forget, whilst it's important to cleanse the skin, you also need to re-moisturise with a light product, so you don't over-strip the skin. Cypress also has antisudorific (reduces sweating) and deodorising effects that can be useful in deodorants, foot sprays and foot baths. To help balance oily skin add 1 drop of Cypress to 5ml of our Micellar Water, which is a great cleanser and toner! Don’t forget to moisturise the skin afterwards – add 1 drop Cypress to 5ml of our fragrance free Moisturising Lotion. To make your own natural deodorant add half a cup of (solid) Extra Virgin Coconut Butter to half a cup of baking soda, and mix well. Add 10 drops Cypress, 10 drops Geranium and 10 drops Bergamot and mix well again. Store in a glass jar or a deodorant container and apply daily! Cypress is great for soothing respiratory problems such as coughs and colds. It has antispasmodic, antitussive and decongestant properties and can also help fight infection. To support respiration, do a steam inhalation. Add 3 drops Cypress, 2 drops Peppermint, and 2 drops Ravensara to a bowl of boiling hot water, cover your head with a towel, close your eyes, lean over the bowl and inhale the scent for up to 10 minutes at a time. Bergamot, Clary Sage, Frankincense, Grapefruit, Juniper, Lavender, Lemon, Lime, Juniper, Peppermint, Rosewood, Sandalwood, Spearmint. Tisserand and Young (2014) state that Cypress oil can cause skin sensitisation if oxidised. To help prevent this, ensure that the oil is stored in a dark, airtight bottle and kept in the fridge. They also suggest that it has low reproductive toxicity and is not hazardous to use during pregnancy. Overall, Cypress has a lot of benefits. At a time of year when life can feel a bit flat, and when Winter bugs are still around, it is a beautiful oil to have in your essential oil collection. Better yet, as one of the best emotionally supportive oils, it is great for calming the nervous system and offering strength and emotional release during difficult times. And one last thing, it smells great too!